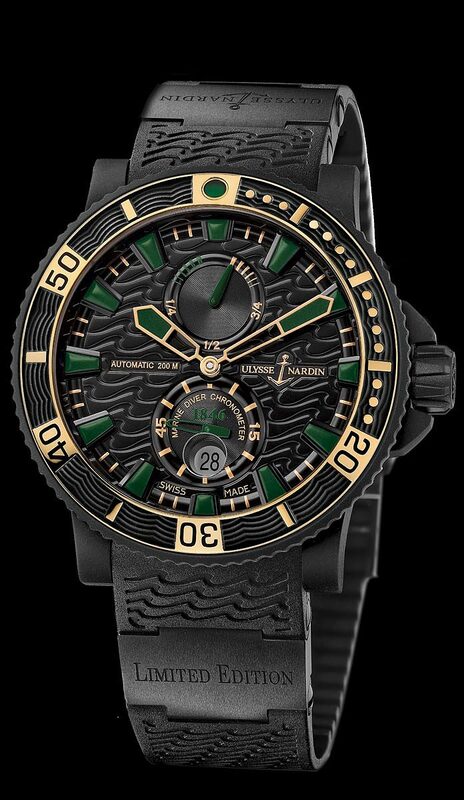 45.8mm case, High-tech vulcanized rubber coated, automatic movement, 42 hour power reserve indicator, and date. 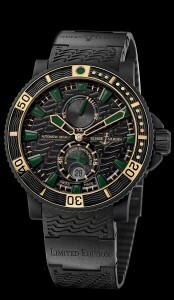 It features the Ulysse Nardin exhibition glass back, and Ulysse Nardin engraved rotor with anchor logo. It is available on a rubber strap and folding ceramic buckle.